Most important win in a tournament and most satisfying win in a tournament: Any of my US National title wins were satisfying. The Worlds finals here in Ireland in 2012 was a historic occasion so I would regard that as my greatest win. What are your goals in handball going forward: To continue to try to improve. To get stronger, fitter, faster and more powerful. To retain the US National title this year. What are your goals for the R48 season: Obviously it will not be easy but I aim to qualify for, and to win the Players Championship in Salt Lake City in April. Given the choice, what top R48 would you most like to play: Right now I would have to say Luis Moreno. Luis in the inform player at the moment. He is a top class player who challenges everyone to be at their best to play him. Regarded by the majority of his peers as being the greatest handball player to ever play, Paul Brady is already a living legend. 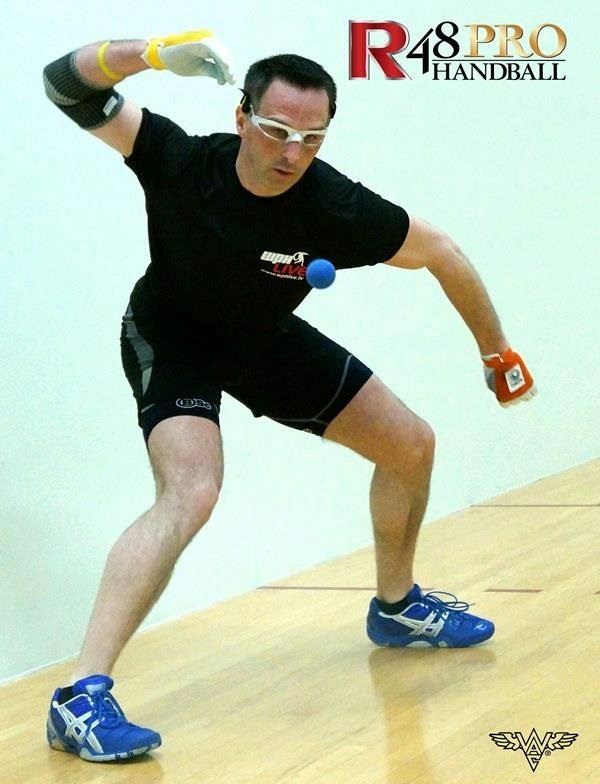 Brady has won every USHA 4-Wall pro singles nationals in which he has entered since 2005 (8), all four open singles world championships held since 2003, every 40×20 All-Ireland Senior Championship in which he has entered since 2004 and both WPH Race 4 Eight Stops he has entered since 2012. Brady possesses the ability to completely dominate the field, as he has proven on multiple occasions by winning championships without ever allowing any of his opponents to score more than nine points in any game in the event. Brady has also proven to be able to win the closest matches, defeating Tony Healy 11-9 in the tiebreaker to win the 2008 USHA 4-Wall national championship and defeating Sean Lenning 11-10 in the tiebreaker to win the 2007 Simple Green U.S. Open. Brady shows no sign of slowing down at 34 and could continue to dominate the sport for the next decade. Brady is regarded for not only being the greatest shot maker in the game but also the fittest and most mentally strong player in the sport. 2009, Brady wins the All Ireland Singles/doubles and Irish National Titles, US Nationals and World Championship.